WASHINGTON (AFP) -- Scientists have identified two of the sets of remains of US troops killed in the Korean War that were recently returned by North Korea, Defense Secretary Jim Mattis said Tuesday. 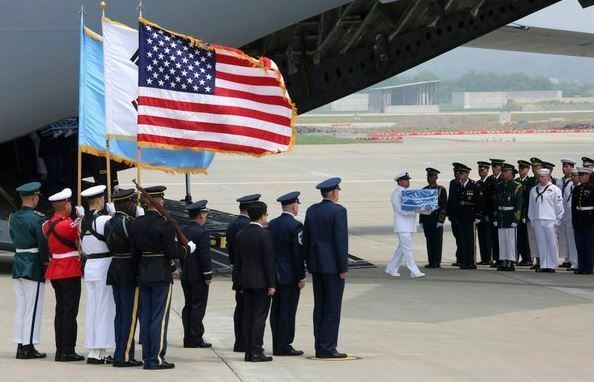 The repatriation of the remains followed a summit between US President Donald Trump and North Korean leader Kim Jong-un, during which Kim agreed to send home some of America’s war dead. The US-led UN delegation was led by US Air Force Maj. Gen. Michael Minihan, who is chief of staff for the command that fought alongside South Korea’s troops during the war.